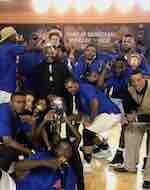 (courtesy Alvina Naicker, bnl.Sa) The Basketball National League is BACK!!! The 2017 season sees a number of enhancements which will have a lot of fans & players filled with excitement. This year sees the league take to the road as games will be played in 3 Cities namely Johannesburg, Cape Town as well as Port Elizabeth. This move had been long awaited and the announcement has many people elated at the thought of having some of the best players in the game coming their way. The league will tip off on the 15th of September and will run until the 4th of November 2017. Games will, as always, be broadcast on SuperSportTV. This season sees a different format which will see 10 teams being pitted against each other in a 5 game series. This means that the regular season, or 1st part of the season, will be made up of 5 playoff-type series which will see winners advance to the next phase. 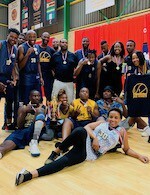 Only 2 teams have been able to win the league title in its previous 4 seasons, and both have been Gauteng giants namely Tshwane Suns and Egoli Magic who each had back-to-back wins respectively. It will be interesting to see how teams have made adjustments in best positioning themselves for glory. Perhaps 2 teams that will be closely watched will be the Soweto Panthers as well as the Western Cape Mountaineers. The Mountaineers have shown continued improvements in the past few seasons and made a great run last season which saw them make the final 4. The Panthers, on the other hand, have always shown great potential, but seem to lose steam when it matters the most. It will be interesting to see the sort of changes/adjustments that the teams have made ahead of the season. There have been a lot of trade-talks and rumours as far as player-movement is concerned, and with most teams still holding their cards close to their chests; it will be interesting to learn about rosters once all have been finalized. 1 thing that is guaranteed though is that we have another great season ahead of us. Our Senior Men's National Team, aMagenge, are preparing for the AfroBasket Tournament which will be co-hosted by Tunisia & Senegal from 8-16 September. This is a great feat for South Africa and the entire basketball community is behind them on what promises to be a great start to a big summer for basketball.